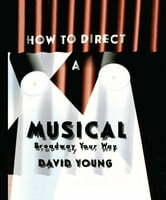 How to Direct a Musical is a lively and practical guide to the seemingly overwhelming task of directing a musical. David Young brings to this handbook his extensive experience as a director of over 100 productions and more than 250 workshops in the US, China, Senegal and Brazil. Young takes a pragmatic, do-it-yourself approach, guiding the reader from planning to casting, rehearsal to opening night. Topics covered include script analysis, collaboration with designers, musical directors, choreographers and crew, eliminating lengthy pauses between scenes, dress rehearsals and curtain calls.